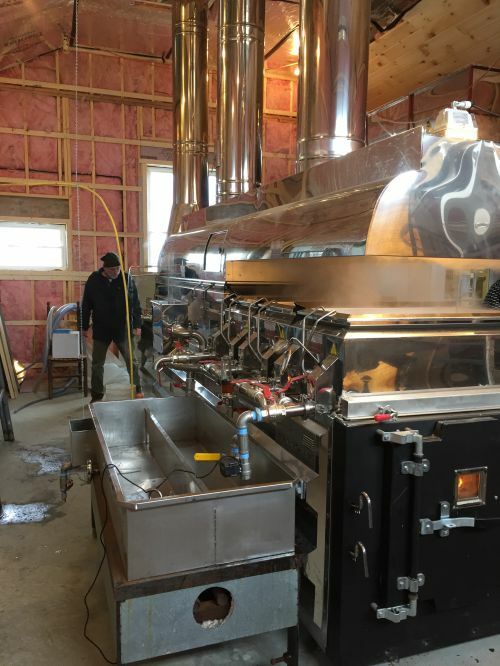 During the near record cold winter of 2015, we built an addition to the sugarhouse and installed a new energy efficient wood fired evaporator . We had to insulate the addition because unlike the old evaporator the new one did not waste a calorie. This photo was taken as the evaporator was being installed; only days before the first boil of the season!